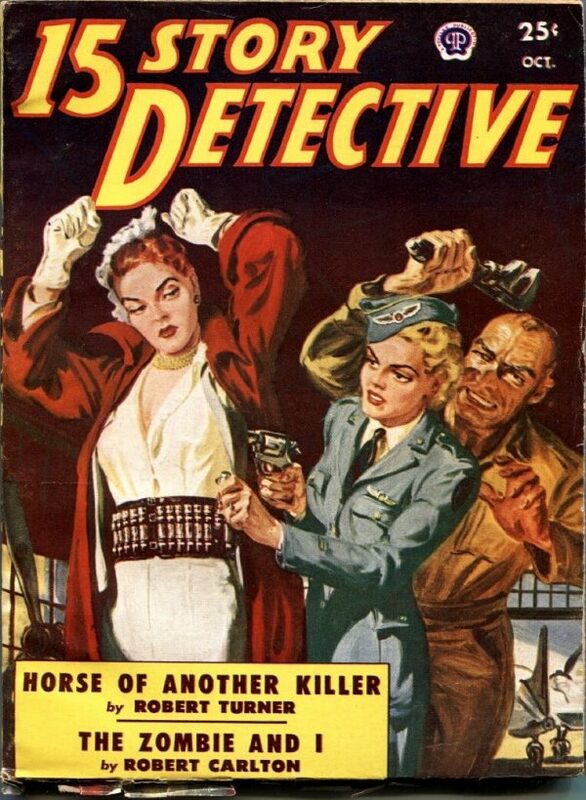 15 Story Detective was originally All-Story Detective, which ran for only six issues before being rebranded and running another 9 before folding. It is unrelated to 15 Mystery Stories, which was originally Dime Mystery, and ran for 154 issues before being rebranded and folding only five issues later. 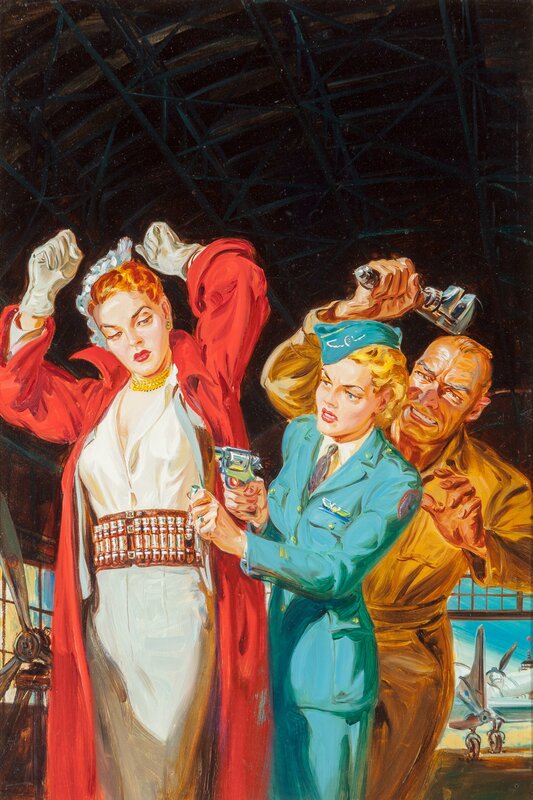 I think the woman in blue is a stewardess.